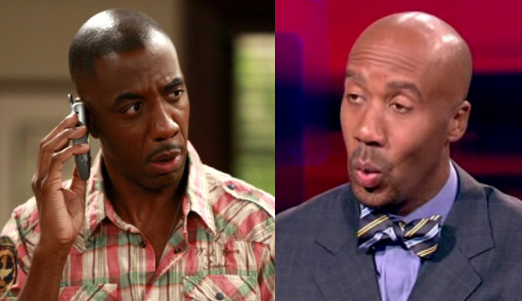 JB Smoove got his start on Russell Simmons Def Comedy Jam, but is best known as Larry David's advice-giving sidekick, Leon Black in Curb Your Enthusiasm. Whether it was getting on Larry for using racial slurs or discussing his difficulties with women in a twin bed, Leon Black fought dirty to succeed. Just like his doppelganger, Bruce Bowen was not one to play clean. Much like Leon mooches off Larry David's wealth, Bruce Bowen used his dirty, defensive tactics on his way to three NBA championships with the San Antonio Spurs. The key difference between these two is likeability. With JB Smoove giving lessons how to bring the ruckus, Bruce is still some jackass in a bowtie.